Are you aware that an average carpet accumulates several pounds of soil and other nasty stuff which you and your pet bring in? The only true way to get rid of 100% of the dirt, germs, residue and allergens from your carpet is to deep clean it. 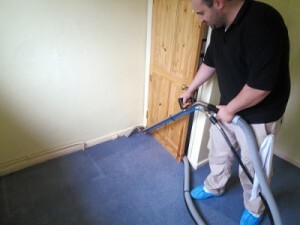 Call 020 3746 6887 for a fast professional carpet cleaning Fulham SW6 offer. You can fill out the online booking form too. The customer care service can advise you about the deep cleaning services offered, including: cleaning mattresses, sofas, upholstery and curtains. You can order a combined cleaning service at the best price in the area, and thus make sure your home is 100% germ and dust-free. SATSU Ltd. serves more than 10,000 Fulham SW6 customers area each year. This list continues to grow mainly due to the personal recommendations from happy clients and the high working standards we try to maintain. All carpet cleaners are duly trained and closely scrutinised. The cleaning tools and solutions used for the different types of cleaning are all certified, environmentally sound and perfectly harmless and safe for people and animals. Depending on the type of stain, textile or request by the customer, we can offer various cleaning solutions, including special stain removal, steam or dry cleaning of all types of natural or synthetic carpets and rugs, as well as all types of upholstery, mattresses and curtains. This is a delicate yet highly efficient cleaning method, which is very gentle to the carpet, rug or other textile being treated and yet cleans perfectly. The Prochem certified dry powder or sprays used are “injected” into the textile and then extracted along with all the accumulated residue and dust. Highly efficient in getting 100% of the dirt and germs out of wool and synthetic carpets, this method requires the use of boiling water and detergent which is applied on stains and on the entire carpet under very high pressure. Simultaneously, about 95% of the water and cleaning solution is extracted, so the carpet needs only about three hours to dry off completely. The bed is the place where we spend more than one third of our life, so cleaning the mattress is absolutely necessary if we want a healthy environment in the bedroom, and to avoid any skin or breathing irritations resulting from the germs and dust mites in the mattress. SATSU Ltd. can clean your mattress thoroughly and efficiently if you book the mattress cleaning service. Another service we offer is deep and safe cleaning of sofas and furniture upholstery. Cleaning will remove any unsightly stains and patches, and will also deep clean the items and remove all the accumulated dust and other residue. The air in the room will become fresher, and any odours from the cleaned items will be gone. You can book a curtain cleaning service as well. In order to learn more about the availability and prices for the different types of carpet cleaning or other cleaning services we provide, just call 020 3746 6887 or fill in the online order form. The customer care service is available for you and will be back to you promptly with the best price, possible discounts and information about any ongoing promotions. It will take only a few minutes to make a booking, but oh what a difference it can make for your home!